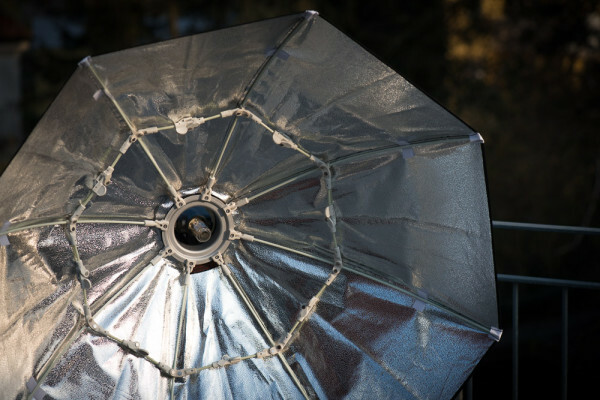 What are some light modifiers that are light, sturdy, easy to carry and can be quickly set up? Robbert investigates. If it is hiking, taking the public transport, biking or just wanting to carry less, a portable location kit is something that is essential to the kit of a photographer. A few years ago this meant that you used a small softbox with a speedlite, which limited the power and the creative options for a photographer. If you did wanted more power, you have to lug around more and more stuff. For location work I resorted to speedlites and smaller softboxes, but it was just too heavy without an assistant to carry around a monobloc with battery pack. When I managed to get my hands on the Godox Witstro AD360 I directly knew this would open up the possibility for location work with big modifiers. Only question was for me is which light modifiers are light, sturdy, easy to carry and can be quickly set up? Basically, I wanted something big and quick. End of last year Linkstar introduced their series of quick softboxes, with various sizes. After a quick look at the softboxes it looked like it was exactly what I was looking for. After some contact with Lovinpix they managed to arrange me a review sample of the 110 cm fold-able octabox, the biggest of the light modifiers. Since these octaboxes have an bowens mount I needed a speedlite adapter in order to use it with my Godox Witstro, the speedlite adapter I have used for the testing is made by Phottix. This is the version 1 of the HS Mount, using a different design from the new version 2. When you open the box it reveals a bag, which contains the octabox, an inner diffuser and an outer diffuser, similar parts that are being used by a lot of different softboxes. 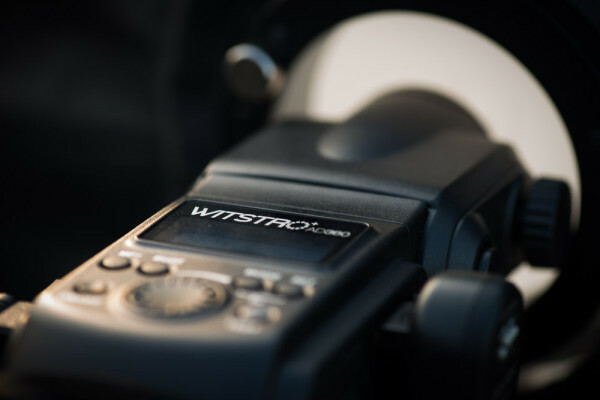 However, the Linkstar octabox differs in the fact that it doesn’t use a speedring in which rods are inserted, i.e. you don’t have to set up a tent every time you go shooting. While the speedring construction is sturdy, it takes a lot of time to dis- and reassemble it. In the Linkstar octabox the rods are attached to the speedring using hinges, which means they can pivot towards the middle, similar to an umbrella construction. Although umbrellas are quick to set up, they are not known for their durability. 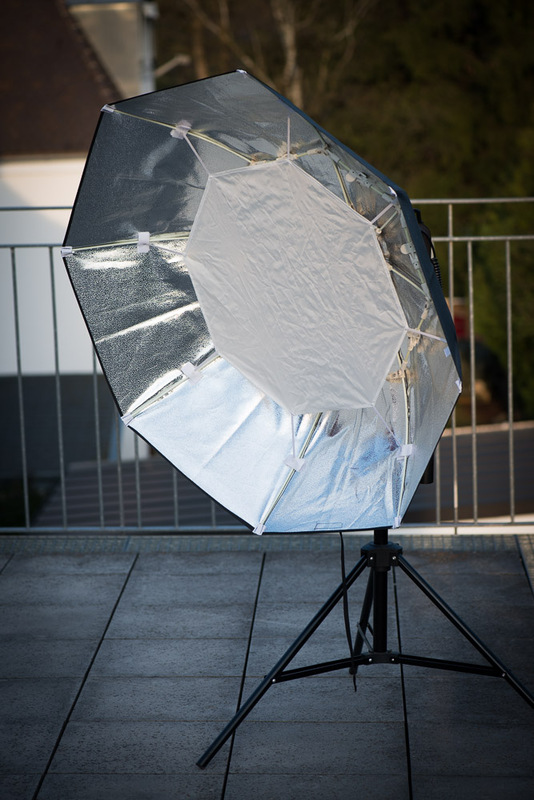 Fortunately this softbox uses a different mechanism to erect it. Instead of having a central point that pushes exterior of the softbox away (such as an umbrella) this softbox creates a ring that maintains stability. This ring does not have to be inserted, but is created by pushing eight hinges into position. To explain it on paper it seems very complex, but in practice it is a breeze. Hopefully the pictures speak for itself, but the most important is to notice that the octabox can be set up under a minute, including inner and outer diffuser. The octabox features a Bowens mount and cannot directly be mounted on my Godox Witstro, a bracket is required to do so. 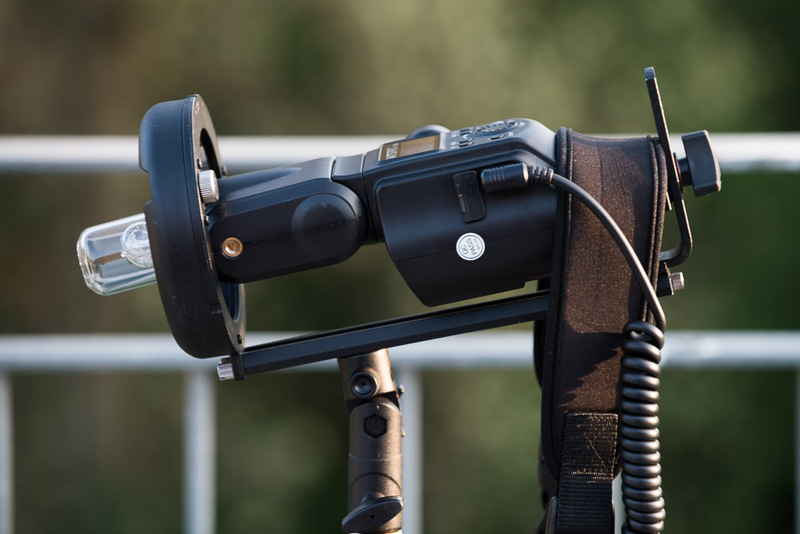 The Phottix bracket arrives in a small pouch and requires you to un- and rescrew two different screws, both of which can be either screwed with a thin metallic object, such as a flat head screwdriver of a coin. Especially the fact that you can do it with coin is great, because in my normal photography kit I do not include a set of screwdrivers. After assembling the speedlite bracket I was pleased about the amount of room there was for adjusting the position of the flash. I think it is safe to say that virtually any speedlite-based flash can fit in the bracket. There is also enough room for triggers, irrespective of the type. 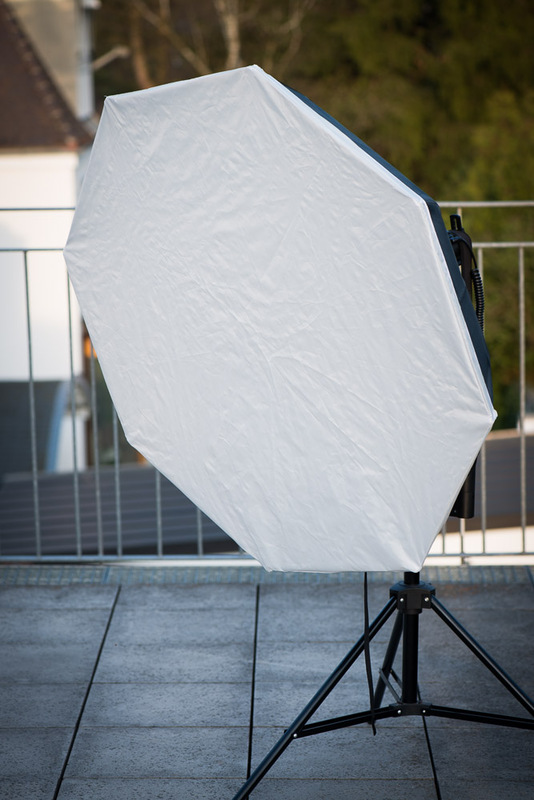 In the previous section I already mentioned that this softbox does not use the umbrella type of opening, which is known to break when it is blown over, similar to what has happened to me several times already with other umbrellas. The construction of the alternative opening method, which I refer to as hinges, are made in such a way that they would withstand the abuse associated with being a professional photographer. 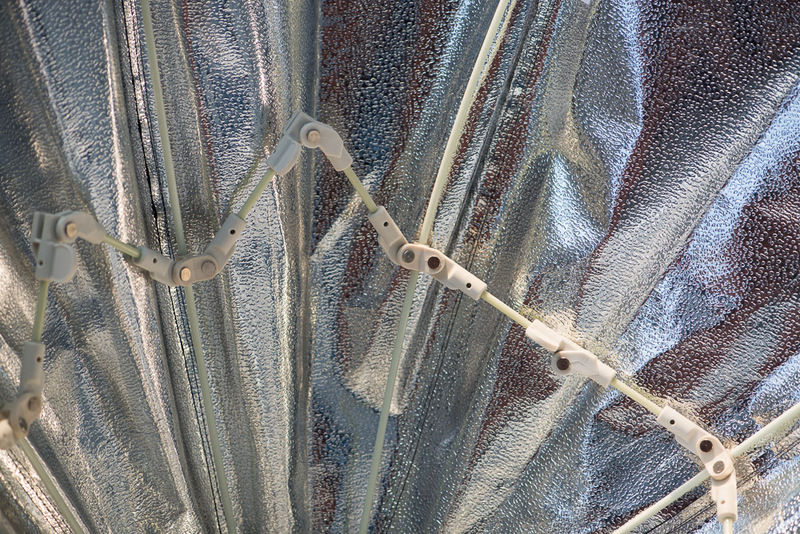 Instead of using metal rods inside the softbox it uses fiberglass rods which cannot bend, but flex instead. Fiberglass rods are sturdy, very flexible and do not break quickly, making them the ideal material to use are replacement for the metal rods. While it is still to early to judge about the quality of the seams and fabric, the finish of them is great. The silver inner reflector and outer black fabric have the feeling that they are not cheaply made. The inner diffuser tells a similar story, but because the way how the outer diffuser is fastened makes me feel that this will rip if not careful. Instead of the Velcro often found with softboxes, it fits around the softbox like a sheet around a bed, which makes it more likely that one of the corners gets stuck somewhere and would tear the seams. The Phottix HS bracket (version 1) that I have used for my Godox Witstro gives me the impression that while the majority of the bracket is made to carry the biggest light modifiers available, there is one weak point in the design. The Bowens ring is attached to the bracket using two small screws, which carry all the load. Since these are also the screws that are removed to reduce the size of the bracket they might not always be screwed always that tightly. The weakest part in the design is for sure these screws. That said, I did use the bracket for quite some time and have no problems with it. It might be the weakest part in the design, which could have been avoided, but it is still strong enough. Besides this, the teeth in the swivel mechanism make sure that the bracket does not droop irrespective of the load. The 110 cm octa with a Godox Witstro AD360 and battery pack are absolutely no problem for the bracket, during the time I have used the flash I never encountered any problems what-so-ever. Shooting with the set-up is a joy, especially due to the powerful Godox. I can imagine that with a speedlite the results might be not so enjoyable due to the lack of power. Bringing the Linkstar Octabox with you on a shoot is easy to do and due to the speedy set-up you can be ready to shoot under a minute. For the last few months it has been my main light, because of its convenience to set up and the low weight. 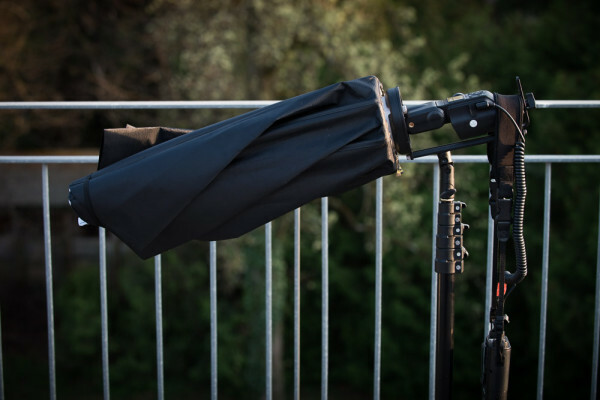 Because of the size and weight of the whole set-up it is advisable to use a sturdy lightstand. Briefly I tried using it on top of a Manfrotto Nano stand in order to save even more weight in my kit, but this is certainly not something you should try at home. My lightstand did survive, but barely. Although softboxes are known to be more wind-resistant than umbrellas, the big size of the octabox makes it a challenge to use it in the wind as well. The size of the Octabox makes it not possible to completely tilt it down using the Phottix bracket, it is limited to approximately 30 degrees. Depending on the size of the light modifier you can tilt it forwards until a certain angle when the light modifier hits the lightstand. A snoot should allow more tilt, but a big beauty dish would be problematic. Due to the fact that the outer diffuser is not recessed in the softbox the light is not as directional as it could be with softboxes; there is a lot of spill towards the sizes. I regret this a bit because I love directional light and one of my favorite types of light modifiers is gridded octaboxes. I would have liked to see an (optional) accessory that enables one to grid the octabox. My motivation for acquiring these items was to ease the process of shooting on location with big light modifiers. I have certainly succeeded with this, as now it requires much less time to prepare and set-up when I have arrived at the shooting location. The light is ready to shoot under a minute and disassembly takes even less time. The load-bearing screws in the speedlite bracket seem to be the biggest disadvantage. Although this is solved by the new version of the design, I found it a fault in the design process. That being said, it didn’t break or bend during the time I used it (quite intensively as well), so you have to mess up really bad to break it. I can certainly recommend buying such a set if you are currently owning a Godox Witstro or rebrand. 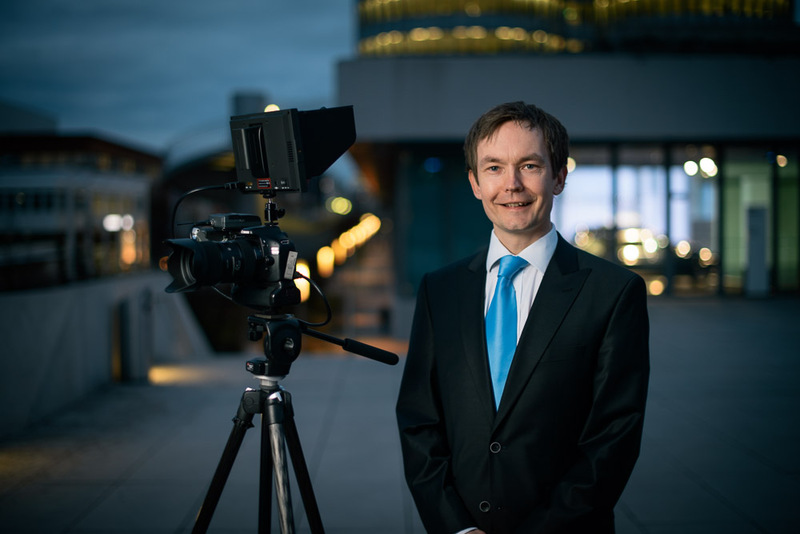 Also portable monobloc sets would benefit greatly from the quick-to-erect octaboxes softboxes that Linkstar makes, which share the same system as the 110 cm one due to the same reason, just minus the speedlite bracket. If you own only a speedlite with limited power I don’t know if this should be the purchase for you. It requires a lot of power to fill up the big modifiers, resulting in low power output. At just under 80 euro the octabox has a very reasonable price. 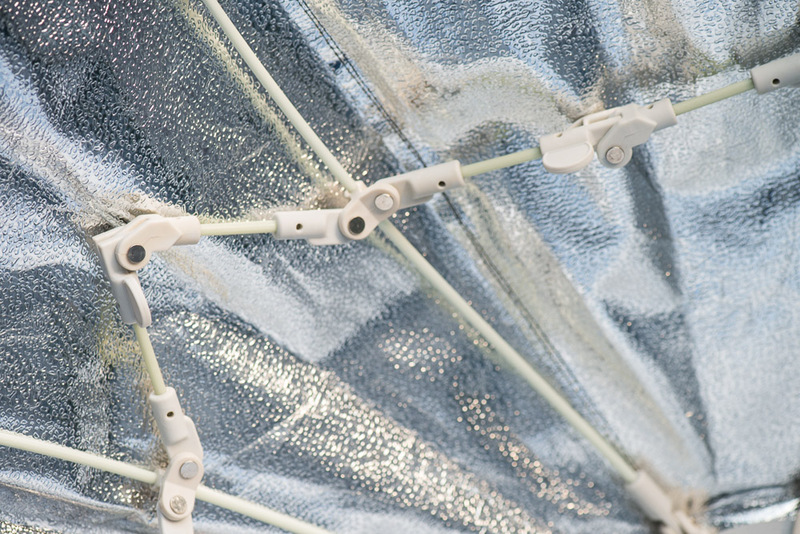 It is similarly priced to quick octas that feature an umbrella construction, so the Linkstar has a clear advantage here. Unlike some of these umbrella construction softboxes the flash is also still outside of the softbox, meaning it is easier to adjust the flash power. Concluding, I am very happy with my set up and don’t think I will change it anytime soon. Review samples courtesy of Lovinpix.